In the next decade, our oceans could hold one kilogram of plastic for every three kilograms of fish. Project Ocean 2015 is setting out to raise awareness and drive change to reduce the amount of plastic entering our oceans. Join us in taking action against plastic. By 2025 there will be one tonne of plastic for every three tonnes of fish in the world’s oceans if nothing changes. A substantial amount of plastic in our oceans comes from consumer waste. Unfortunately, only 24% of the 5 million tonnes of plastic used in the UK each year is reused or recycled (1) and according to a recent study, globally 13 million tonnes of plastic waste enters our ocean every year (2). Plastic bottles, for example, can take between 450-1,000 years to break down into smaller pieces, and the lifespan of the resulting microplastics is even longer. These microplastics can be ingested by marine animals, passing up the food chain and causing toxic harm. Plastic - big and small - in our oceans affects a wide variety of species. Whales, turtles, fish and seabirds have all been found with plastic in their stomachs. Plastics on a beach. Image (c) Kirsty Richards. Through Project Ocean 2015, Selfridges is leading the charge and saying no to single-use plastic water bottles, which are unnecessary when we have healthy water in our taps and easy access to reusable vessels. The UK uses around 15 million plastic bottles per day (3), which are a major component of marine litter. On an individual level we can all think more carefully about our consumer choices, avoid single use plastic and recycle what we do use. Remember that the plastic that we use in our everyday lives may end up contributing to this global ocean problem. On a larger scale it’s important for business and industry to be innovative in its approach to managing plastic. 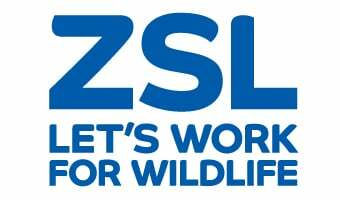 For example, as well as our Project Ocean partnership, ZSL works with the carpet manufacturer Interface on Net-Works. Through this partnership, discarded plastic fishing nets are collected from the ocean by local communities and recycled into carpet tiles. In May 2017, Selfridges and ZSL claimed the ‘Best Partnership with a National Charity’ prize for Project Ocean at the Better Society Awards and also won ‘Best Partnership in the Community’ at the National CSR Awards. Visit the Selfridges website for other ways to get involved with Project Ocean. Back in 2011, ZSL teamed up with luxury department store, Selfridges and created ‘Project Ocean’ as a way in which we could make a positive difference by changing consumer buying habits and engaging people in the plight of our oceans. The information around marine conservation hasn't always been clear or accessible, so with the help of Selfridges, we set to work on communicating why and how we should protect our ocean ecosystems in a constructive and compelling way. As part of Project Ocean, we created a global movement for marine protection through establishing the Marine Reserves Coalition (MRC), now Great British Oceans. Since then, Selfridges has funded a full time coordinator for the Coalition which brings together leading conservation organisations; ZSL, Greenpeace UK, the Marine Conservation Society, the Pew Charitable Trusts and the Blue Marine Foundation. In its first year Project Ocean reached over 20 million people and raised enough funding to create the 50 hectare community-managed Selfridges Marine Reserve in the Philippines, which Selfridges continues to support. The MRC continues to work to establish new marine reserves in the UK Overseas Territories, and in February 2015 launched the successful Great British Oceans campaign. As a retail activist Selfridges leads Project Ocean by example, ensuring its food halls and restaurants do not serve endangered fish and that its beauty halls are 100% free from shark oil and shark by-products. Looking forward, Project Ocean is extending its focus to address the issue of plastic pollution in our oceans, while continuing its work on overfishing and marine reserves.